Build it are leading stockists of all the major plumbware brands. 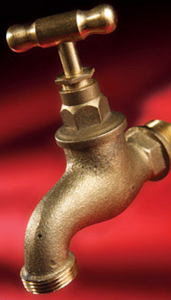 If you're looking for geysers, Kwikot and Gap Geysers are supplied with spares and accessories. We also supply JoJo water tanks. For piping needs, we supply compression fittings for galv, copper and polycop requirements. Our sanitaryware and brassware offering includes Cobra products, as well as our Housebrand range. We stock a comprehensive range of stainless steel products and bathroom fittings.